It is interesting to note the way of thinking that reflects in the common names. an example is the “Cannon ball tree” (Couroupita guianensis) in English describes its large spherical fruits while the Indian common name “Kailaspatee” or “Naglinga” comes from the description of the flowers (interestingly, the female part of the flower is in the shape of a “Pindee” and the male flower part in the shape of a cobra over it !). The Britishers equated the fruits with the cannon balls while the Indian saw the shiva lingam and the cobra in it hence giving it a status of a holy tree. #2 I am wondering what the bangla common name “koiral” means? and how does it relate to the surname “koirala” of the royal family of nepal? Your writing is sprinkled with some thought provoking leads such as this…this is one of feature that makes it even more interesting to read on…thanks ! well, your guess about this as the poet being “the one” seems right, at least for the common names. if not poet, that person must be someone who acknowledges the existence and beauty of plants. 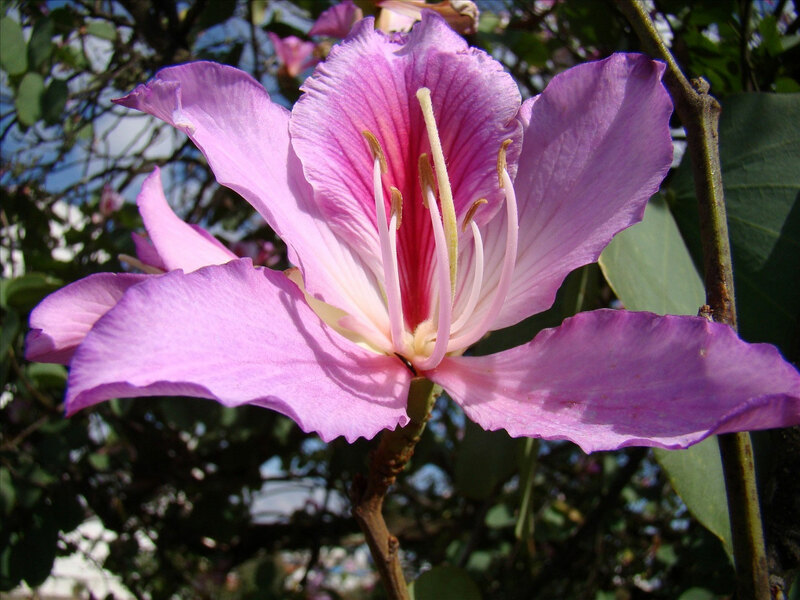 #4 The genus Bauhinia has been named after the Bauhin brothers (Gaspard Bauhin and Johann Bauhin) in reverence to their contributions to botany and taxonomy which date back as early as the mid sixteenth century.